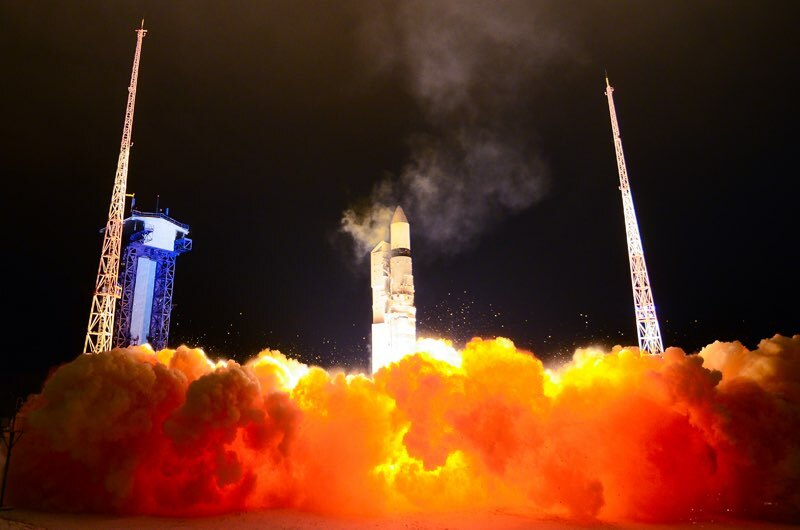 A Rockot booster and Breeze upper stage delivered three Russian military communications satellites to orbit Friday after a launch from the Plesetsk Cosmodrome around 500 miles (800 kilometers) north of Moscow. The 95-foot-tall (29-meter) rocket fired out of a launcher tube at 0227 GMT Friday (9:27 p.m. EST Thursday) and climbed away from Complex 133 at Plesetsk, aligning on a trajectory toward the northeast over the Barents Sea. 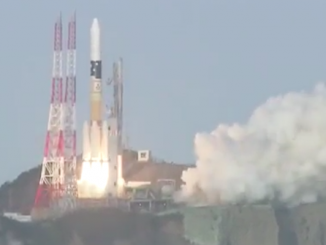 The launch occurred at 5:27 a.m. Friday Moscow time. The Rockot is a converted two-stage SS-19 missile, known in Russia as the UR-100N, originally built to launch nuclear warheads to distant Cold War targets in the United States. Russia added a Breeze KM upper stage to the missile to place satellites in Earth orbit. The two lower liquid-fueled stages fired in succession in the first five minutes of the flight, then the Breeze KM upper stage fired two times to inject the three military relay satellites into orbit. According to safety notices released warning pilots to steer clear of downrange drop zones, the Rockot flew a trajectory similar to past launches that carried triplets of Rodnik communications satellites. The Rodnik network consists of a fleet of satellites designed to collect messages, store them on-board, then deliver them to their recipients. U.S. military tracking data indicated the three Rodnik satellites were released in an orbit around 932 miles (1,500 kilometers) above Earth, at an inclination of 82.5 degrees to the equator. But the satellite catalog suggested five objects were in orbit from the launch, not the expected four objects (three satellites and the Breeze KM upper stage), according to RussianSpaceWeb.com, a website run by Russian space journalist Anatoly Zak. The extra object could be a fourth satellite. Previous Rockot missions carrying Rodnik satellites carried maneuverable undisclosed secondary payloads analysts believe could be used for in-orbit inspection experiments. The Russian Defense Ministry declared the launch a success in a press release. The Rodnik satellites are produced by ISS Reshetnev, which also builds spacecraft for a civilian analog called the Gonets system. 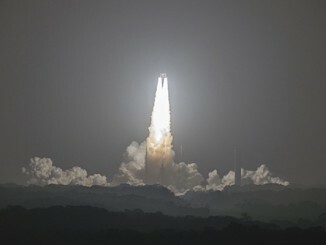 The launch marked the second flight of a Rockot/Breeze KM vehicle this year, and its 29th flight since its maiden mission in 2000. The Russian aerospace contractor Khrunichev oversees the Rockot program. The Rockot/Breeze M can haul about 4,300 pounds (1,950 kilograms) of payload to low Earth orbit. Only a handful of Rockot vehicles remain available for satellite launches until the program’s retirement. 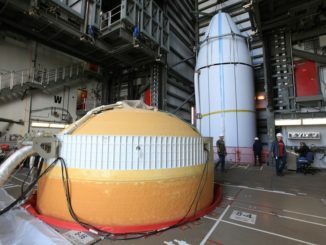 The German-Russian company Eurockot, which managed commercial sales of Rockot flights on the international market, suspended its operations after the Rockot’s previous mission in April carrying the European Commission’s Sentinel 3B environmental satellite.